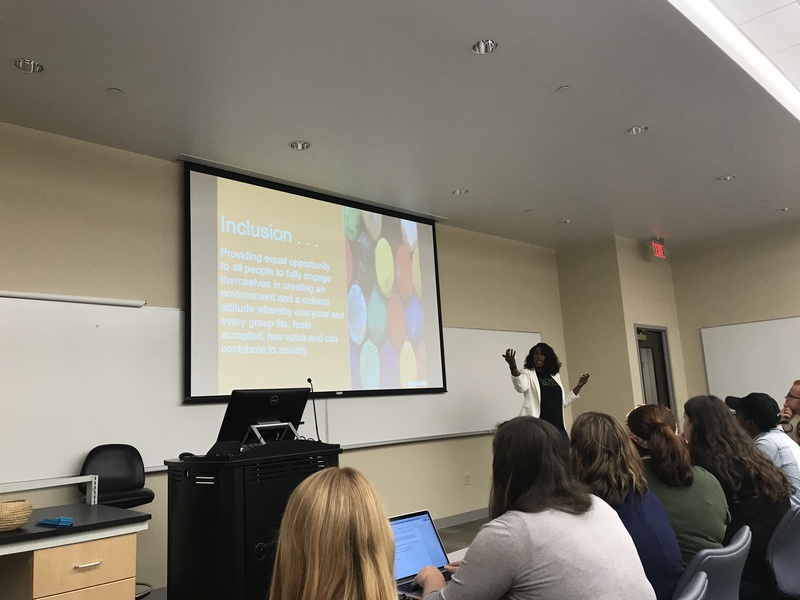 Diversity and inclusion took on new urgency for Belmont students, faculty and staff as they heard Aerial Ellis discuss culture, communication, change and community Monday night. “Imagine a world where everyone’s ideas are valued – where risks are taken to support high-potential, dynamic leaders as they realize their dreams and solve problems within their communities,” she said. Ellis spoke to a standing-room-only crowd in the convocation cosponsored by Belmont Public Relations Student Society of America and the Belmont State of Mind Initiative for Diversity and Inclusion. Belmont PRSSA is one of more than 300 Chapters in the national student organization supported by the Public Relations Society of America, which offers professional development and networking opportunities. The Belmont State of Mind Initiative for Diversity and Inclusion will sponsor Diversity Week on campus Oct. 1-5.